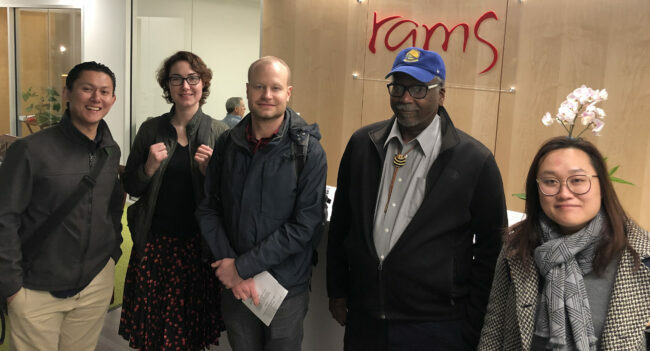 For the second consecutive month, mental health clinicians at Richmond Area Multi-Services, Inc. in San Francisco attended their non-profit’s board meeting to demand a fair contract. At the January meeting, clinicians expressed their frustration over the slow pace of negotiations, overall lack of transparency and the low pay that causes high turnover that impacts patients’ access to quality mental health care. The clinicians, who joined NUHW in 2017 and are still negotiating their first contract, also discussed the need for them to have a stronger voice in how the nonprofit operates. The presentation by clinicians sparked constructive dialog. Board members asked clinicians questions about bargaining and commended their unified stance, noting that nearly all members had signed on to a petition the prior month. Negotiations started to pick up following the petition and the clinicians’ initial appearance before the board in December.